Known as the Italian Riviera, Cinque Terre (pronounced Ching-kwe Ter-ray) is a cluster of five picturesque villages in Northwest Italy that adorn the shoreline with colorful buildings, steep cliffs, beautifully rugged and rocky beaches, and small but completely charming ports and harbors. 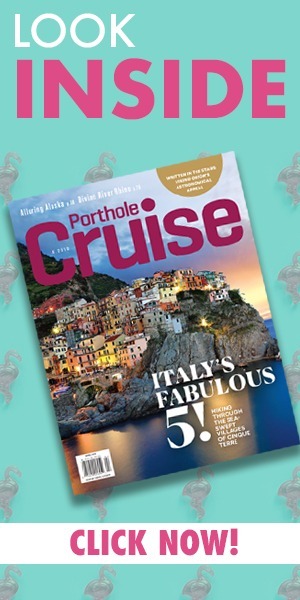 And if you are cruising in or out of Italy — especially through the ports of Genoa or Livorno (Florence) — this seaside treasure is a short day trip away and the ideal complement to your European cruise. Situated in the region of Liguria, which also boasts other famous seaside towns like Portofino and Sanremo, Cinque Terre is the perfect place to not just savor the beauty of Italy but to fall in love with the food, the people, and the culture as well. And despite its seemingly remote location, Cinque Terre is easily accessible by train, boat, or car. One of the easiest ways to enjoy your visit, however, is to make the nearby town of La Spezia your home base. Liguria is divided into four provinces: Imperia, Savona, Genoa, and La Spezia. This small naval town is just south of the five villages and is known as a great hub for trips to Cinque Terre — but it also has its own merits. Liguria’s great foodie exports, namely, focaccia and pesto, can be found in plenty in La Spezia. Try restored-cellar-turned-restaurant Osteria all’Inferno on Via Lorenzo Costa to sample a bit of both. The restaurant has been passed down through one family and even though it’s run by two brothers, the food will make you think your Italian grandmother (whether you have one or not) is in the kitchen. Try the homemade gnocchi with the region’s special pesto. If you’ve got a craving for fish, sit side-by-side with the locals at Dai Pescatori, a unique, super casual eatery run as a co-op between local fishermen. From La Spezia, getting to Cinque Terre is simple and traveling by train is recommended. Return to La Spezia Centrale and you will find that Trenitalia runs all year round between the five villages. Purchase a Cinque Terre Card (price varies depending on season) that offers you unlimited train and shuttle rides as well as access to all hiking trails in the National Park. It’s easiest to start at the furthest village (Monterrosso) and work your way south. And it is possible to see all of the towns in just one day but if you’re lucky enough to be overnighting, it’s more fun to find your favorite nook, beach, or cliff and enjoy the view, basking in the fact that you have one more day. Each village is different and each has at least one magnificent highlight that’s worth the visit. The largest of the villages, Monterrosso also has the most activity and the largest spiaggia (that is, “beach”). The side of Monterrosso known as the ‘new town’ has a plethora of restaurants and shops hugging the shore so there is never a shortage of things to do. In summer, rent one of the colorful umbrellas and sunbathe and swim in the turquoise waters under the watchful eye of the giant Neptune sculpture jutting out from the cliff. If the weather is chilly, a walk along the seaside offers a symphony of crashing waves — the perfect backdrop for a seaside dinner or cocktail. Walk from the beach through the tunnel that leads to Old Town, where you can find a bevy of artisanal shops and pubs to pass the time. Another must-see on this side of town is the Church of San Giovanni Battista, featuring a unique black-and-white marble exterior and interior. If you have seen a postcard from Cinque Terre, chances are the photo was taken in Vernazza. This famously beautiful town is a stunning puzzle of brightly painted buildings intricately fitting together to create a vibrant backdrop for those envy-inducing snapshots. While it’s difficult to compete with the views, this particular village is also home to Gelateria Vernazza on Via Roma, where art meets deliciousness made with….